The #1 Resource for Raising the Standard of Horse Foot Care. 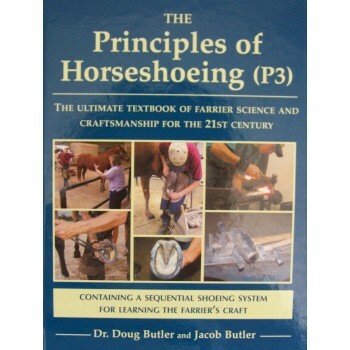 This updated, expanded third edition of The Principles of Horseshoeing (P3) brings a fresh new approach to learning the vital craft of horseshoeing and much more! Written by two experienced teachers, this invaluable resource is the most complete collection of horse foot knowledge available today. Recommended and used by leading horseshoeing schools in America,P3 is a must for the library of every farrier,veterinarian and horse owner.